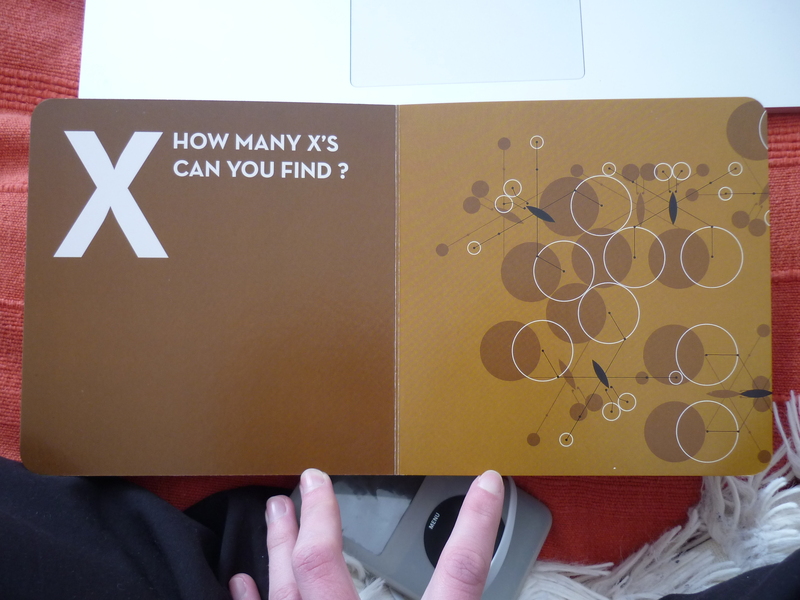 This is clever a question within the simple ABC book and using an animal that is in the shape of an x. Pond skaters are an animal that don’t have much meat on them and so using their shape for the effect is perfect. The colour is a colour I would tend to avoid because it’ not exactly a happy colour! But I think it works for this even though I’m still not sure it’s a stimulating colour. Zebra! Again clever, using geometric lines and shapes to form the mass of zebras in a pattern frenzy. It’s a good idea if you can’t draw the actual animal shape because even though they are clearer not a realistic image you know what they are suggesting. 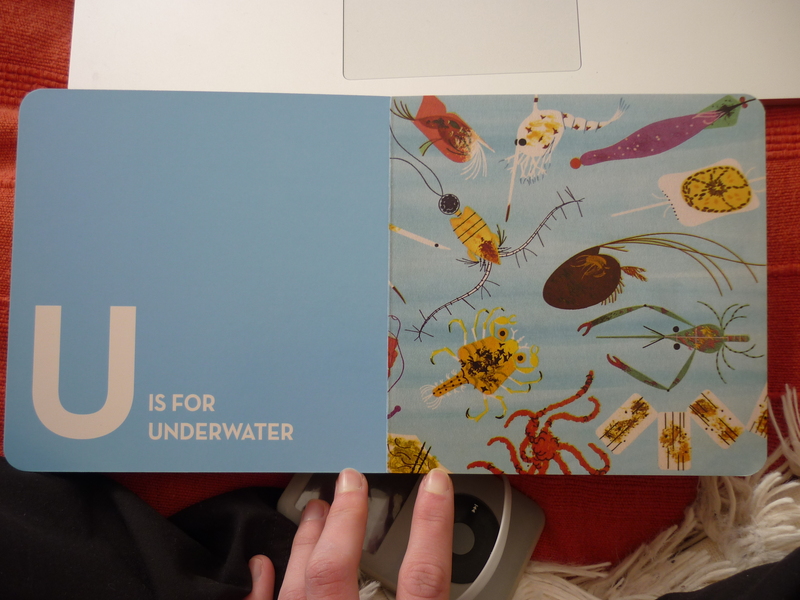 Not using a specific animal he has used a term to show a group of animals that live in the water together. This has allowed him to illustrate more than one animal and produce a richer scene. This is for the letter S but I just focused on the illustration because I think it looks beautiful. The colours are intense and fit in perfectly forming the shape of the shell. 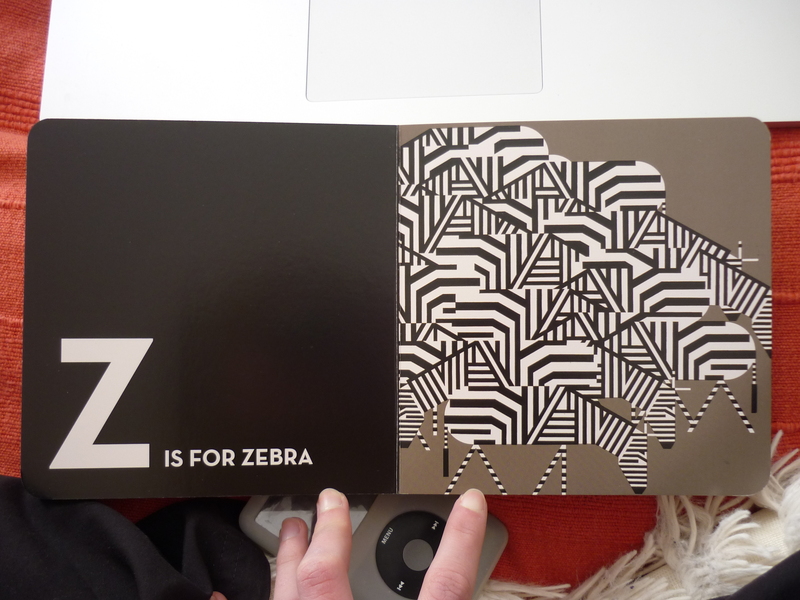 This image is very different compared to the letter Z which is very contemporary whereas this is more illustrative. 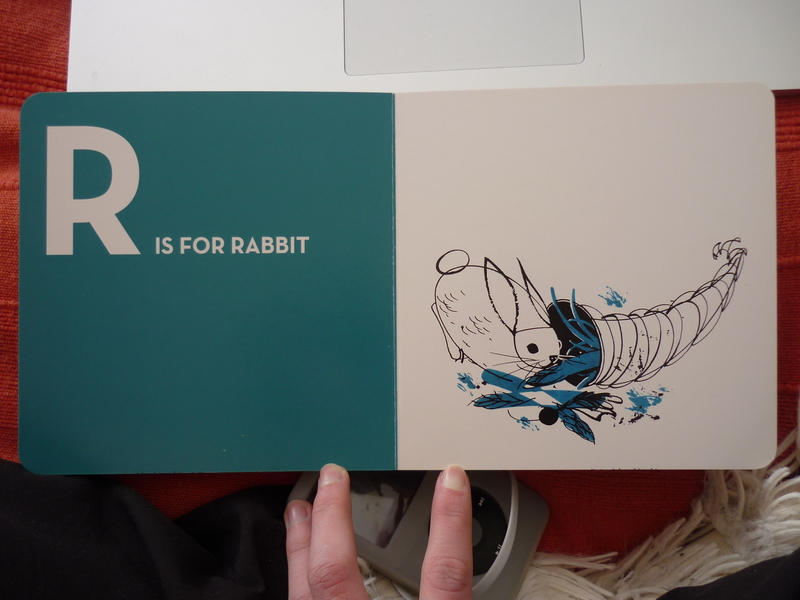 R is for rabbit – only using a bold blue for the foliage and line drawing to create a simple but creative image. This is very different from from the previous image with the whole scene been coloured in with brown again. A creative concept of the bird using patterns and basic shapes to create it. Larger than the normal size and seeing the farm and fields through the pig. 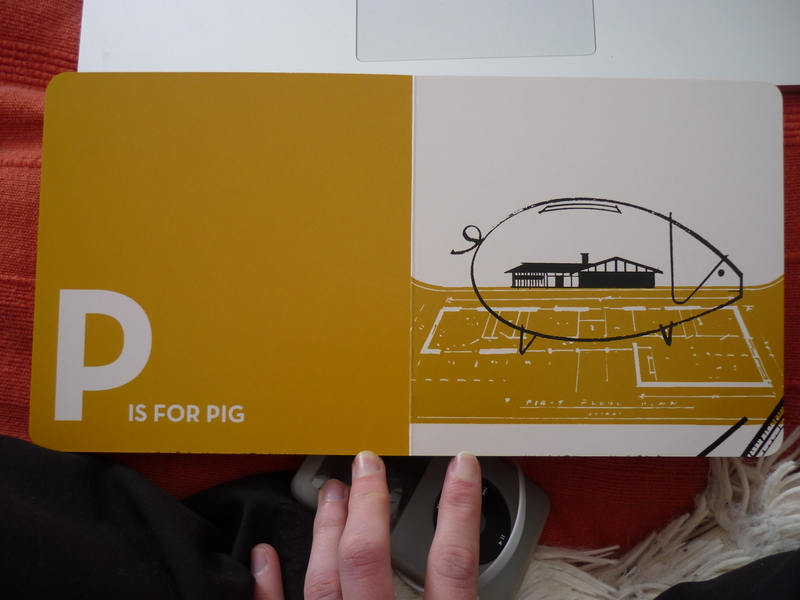 It will give the viewer something to look at more than just the stereotypical image of a pink pig. 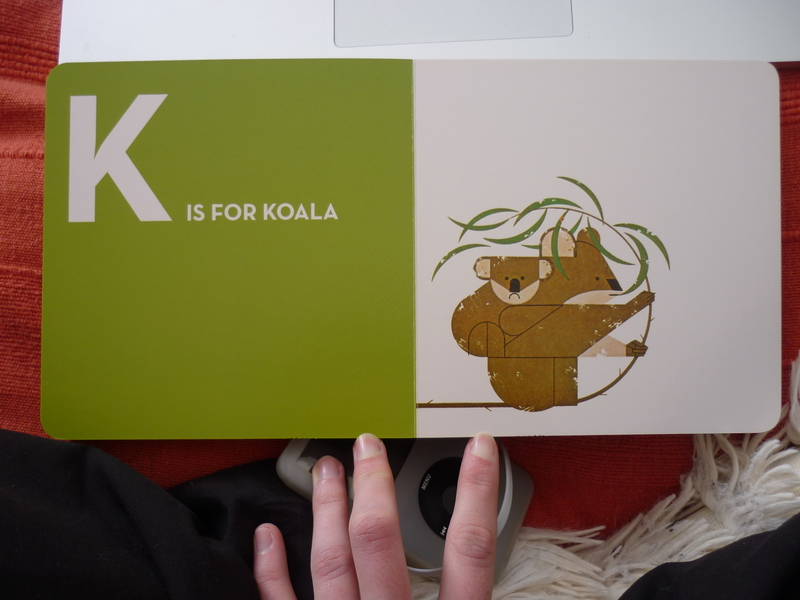 Characterisation with the koalas, the baby not looking like it’s enjoying itself on the mother. Looks like the mother is bending the branch ready to carry on climbing, green to nature. A large hen chasing it’s farmer, from this image I feel like I can make story for each scene. 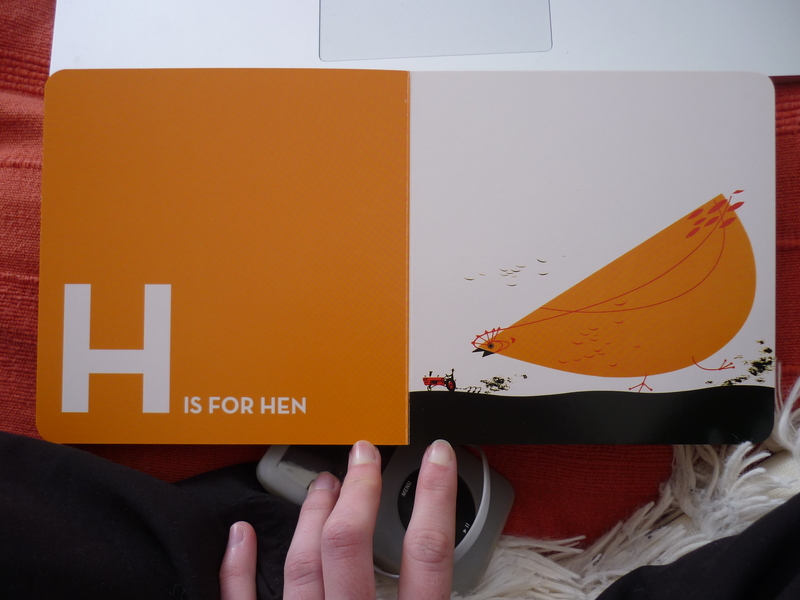 For example the hen has eaten something that has made it grow massive and now chasing after the farmer because he treated it wrong when small. 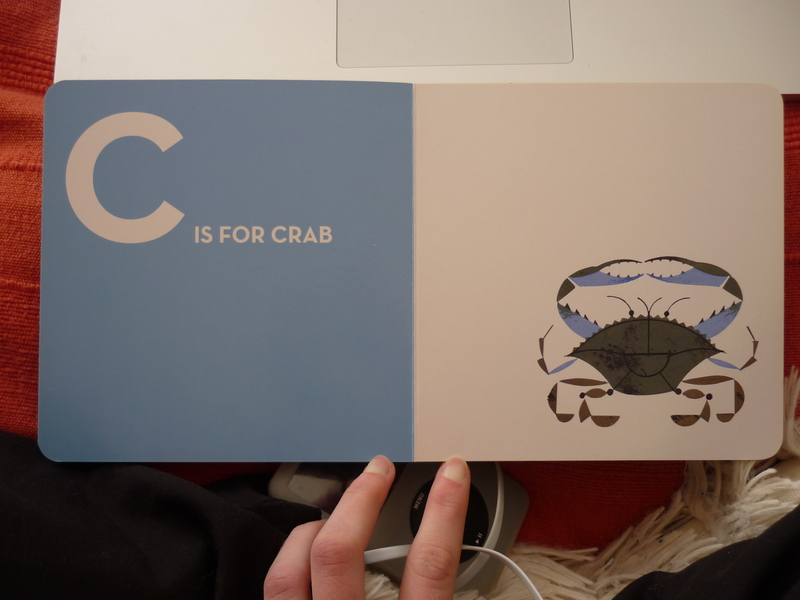 I love this colour anyway but this simple form of the crab is again beautiful, the colours suggest the ocean floor with the dirt. A clean white background just emphasises the cleaned of the illustration. I think this book is simple yet very effective, the illustrations are visually engaging even though they only use a limited amount of colure and mark making. Also I think that an animal can be visually shown without being perfectly accurate. So from looking gat this book I have realised that my illustrations don’t have to be so literal and can be more mature as you don’t want to patronise the reader. You also can mix up the illustration style from perfect formed images to fun, quirky not perfect to scale imagery. When creating work I will try and experiment with the type (material) of the scene as well as the normal perspective. 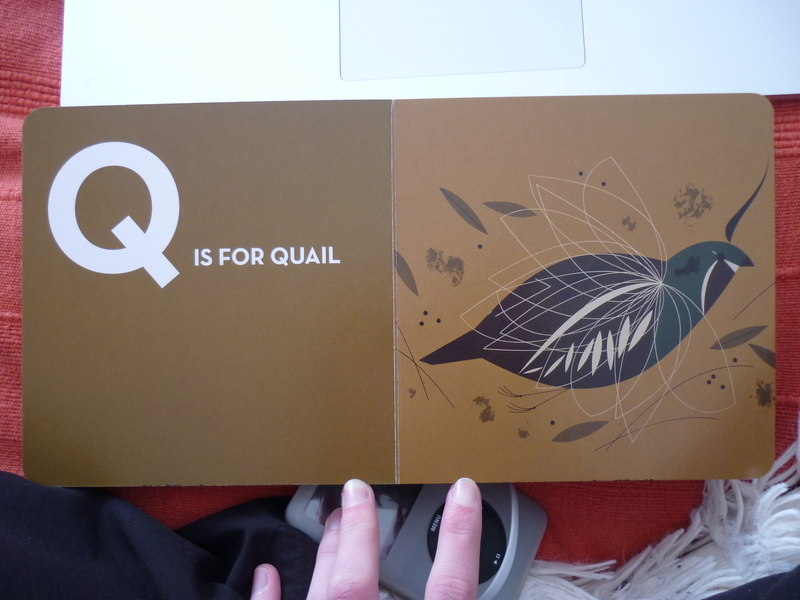 Harper, C., 2008, Charley Harper’s ABC’s. London: AMMO Books LLC. 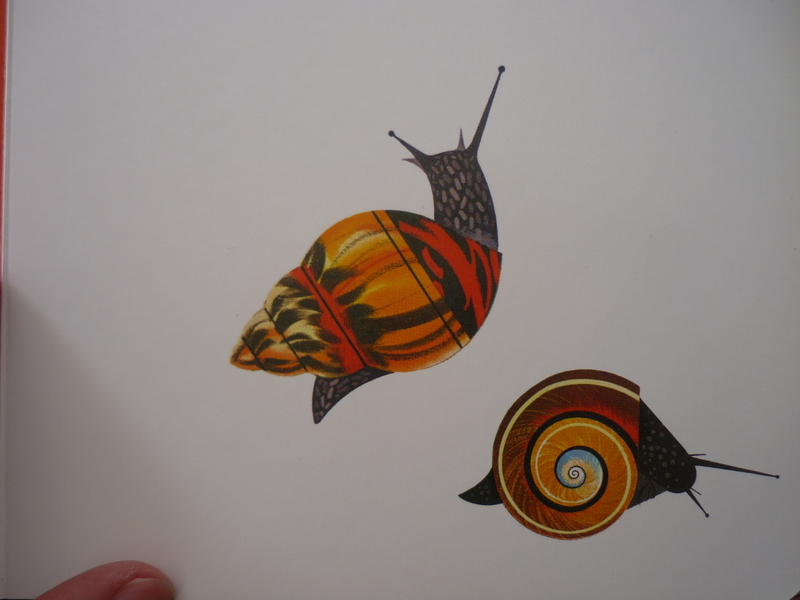 This entry was posted in ABC's by Charley Harper.